We believe in the healing benefits of botanicals, and having a healthy canvas to radiate out your inner beauty. That means pure skin care in simple steps. 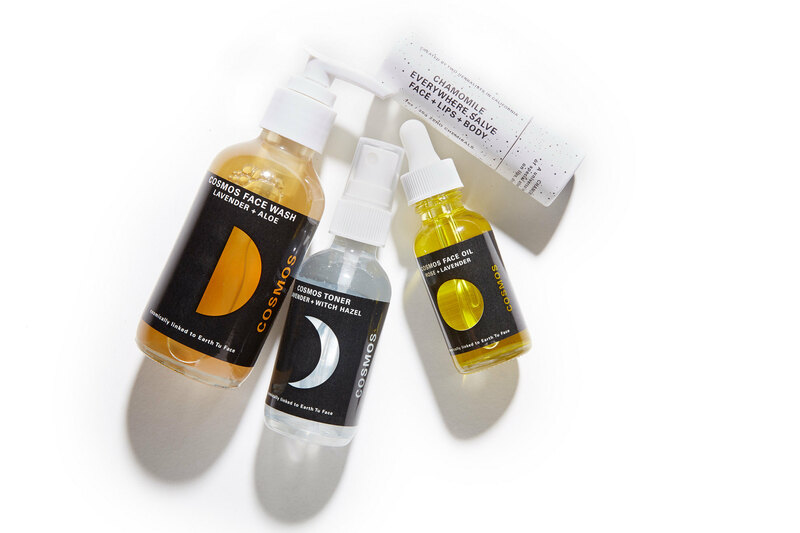 Cosmos was formulated by Earth Tu Face herbalists Sarah Buscho and Marina Strom, known for their the legacy of sustainable luxury skincare with no compromises. Cosmos is made of only safe, plant-based ingredients with zero artificial chemicals added, so it’s skin care that is good for you and the planet. Based in the San Francisco Bay Area, Cosmos blends the easy breeze of California with a bit of British quirkiness from Michelle Badejo, Chief Curator.